Bhubaneswar: ‘Apana Mane Khusi Ta?’ is a phrase every Odia is familiar with. And to express his happiness about development in Odisha under Chief Minister Naveen Patnaik’s regime, rapper Samir Rishu Mohanty aka ‘Big Deal’ has come up with a music video ‘Khusi Ta’. The 26-year-old rapper from Puri famous for ‘Bou’ and ‘Are you Indian?’, has been living in Bangalore for the last 16 years and visits Odisha once or twice a year. The difference he noticed in recent years, particularly in Bhubaneswar, stirred his creative mind and got him to work on this video. Further, he was appalled by the way Odisha has long been represented in the national media. “It is so wrong. Bhubaneswar has everything, the infrastructure, roads, trees, are amazing compared to Bangalore, where the traffic is absolutely horrible. I feel so proud of Bhubaneswar,” said Big Deal, who rapped his way into every heart last year. 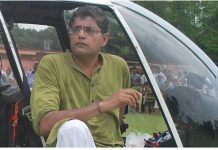 Another trigger for him for was the visit to his village in Puri district. “It looks like a town now with proper roads and shops,” said the pleasantly-surprised ‘Mu Heli Odia’ singer. The video has been produced by Nila Madhab Panda. Harihar Dash, who is known for his ‘Locking and Popping’ dance moves, has choreographed of the video, which has been directed by Biren Jyoti Mohanty. The video has garnered over 10K views since being released last evening and has also been retweeted by the CM. Samir’s works in English and Hindi are equally popular. He has performed with known rap artist Blaaze in MTV Sync and Hard Kaur for Vh1. He lent voice to the song, ‘Bach Ke Bakshy’, in Sushant Singh Rajput-starrer ‘Detective Byomkesh Bakshy!’.